Did you know that World Health Organisation has classified radio frequency electromagnetic fields as possibly carcinogenic to humans (Group 2B), based on an increased risk for glioma, a malignant type of brain cancer, associated with wireless phone use? 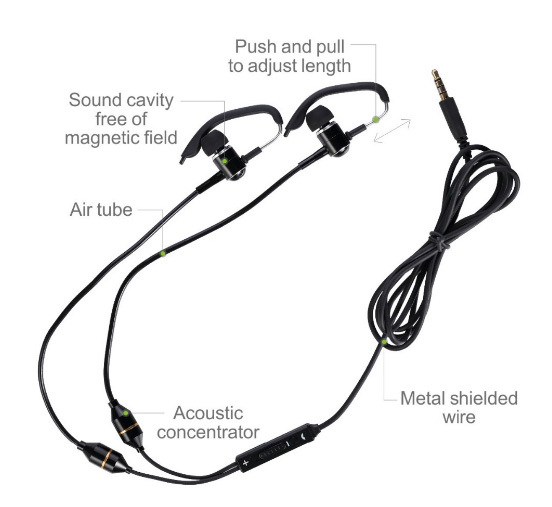 These anti-radiation air tube headphones have excellent sound quality and ensure you and your brain are not exposed to harmful radiation emitted from mobile phone devices. 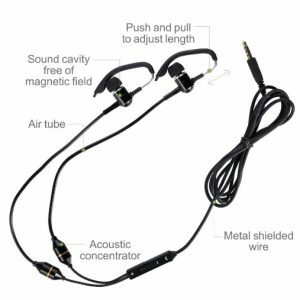 With padded ear hook, these headphones will stay in place during exercise and activity and come with an option of small and large ear pieces. Unlike regular headsets, there is no loudspeaker in earplug. Amazingly, this doesn’t impact the sound quality, but does reduce the exposure to magnetic fields. These headsets are unique in that they isolate the magnetic field and radiation emitted from the source device (ie: mobile phone) and lengthen the distance between device and human body, which largely decreases the effect of the electromagnetic field on the body, especially the brain. 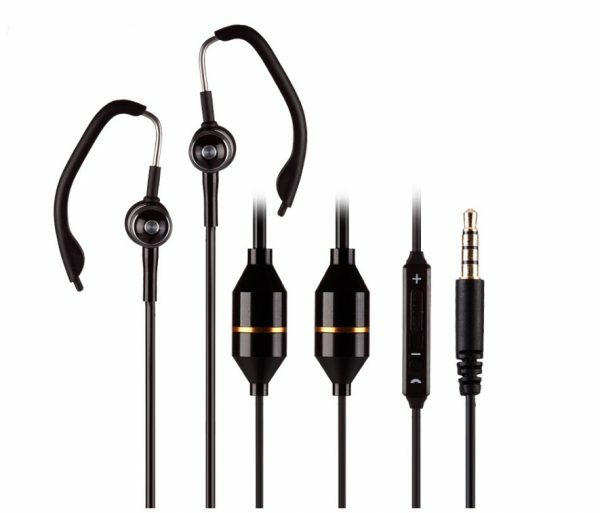 Three electromagnetic radiation research organisations have confirmed air tube earphones are the best choice to reduce mobile phone radiation exposure. 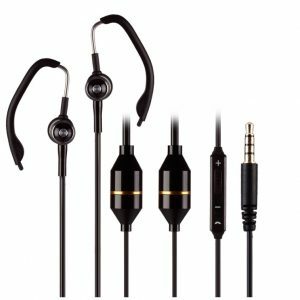 In regular headsets the cable acts as a conductor, however all wires used in the Air Tube Headsets are shielded with a braided netting which acts as a faraday cage to reduce electrical noise. This not only reduces electromagnetic radiation exposure, but improves sounds quality also. These headphones have a padded hook that sits comfortably over the ear to keep in place during exercise and activity. The following table shows the improvement in EMF exposure using these Air Tube Headphones over regular mobile phone use. Measurements are in µw/cm2 (microWatts per square centimetre).